The Canon Copier ImageClass MF4150 is a duplex printer capable of printing and copying to both sides of its paper output. It also offers users the opportunity to own a device that combines printing, faxing, copying, and scanning functions into a single, reasonably sized, unit. The Canon Copier ImageClass MF4150 has a fairly good first copy out time of only 9 seconds. For a small, personal unit, this is more than acceptable, and ensures that single page reproductions will be executed quickly and easily. Multiple page copies will print one by one at a speed of 21 copies per minute. While this is not exactly a business standard cpm speed, it should be fine for a home business or household. Multiple copies can be made from a single source in amount up to 100 at a time thanks to digital copy technology. Before on board memory, only single direct transfers could be done, making digital the far superior copy method. The unit's automatic document feeder is capable of holding up to 35 pages at once, which is ideal for sending multiple faxes or scanning a stack of documents. Other copy functions include collate, 2 on 1, and a toner saver mode which can reduce the cost per page of the device significantly. Reduction and enlargement can be set in 1% increments from 50 to 200%. Faxing is made possible by a built in Super G3 modem that is as fast as 33.6 Kbps. This allows for a page transmission speed of around three seconds per page, while on board memory allows users to program up to 8 one touch speed dial buttons and save up to 100 coded dials in the internal phone book. 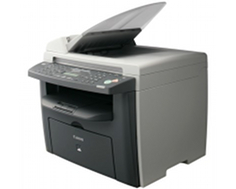 The fax page memory can hold up to 256 sheets of data for fax preservation and simultaneous printing and faxing. Copy resolution is very limited for the Canon Copier ImageClass MF4150 and tops out at only 600 x 600 dots per inch. This may result in a lower image reproduction accuracy than would be desired for some applications. Furthermore, the print resolution can be turned up to 1200 x 600 dots per inch, making for an imbalance between the possibly quality in the two formats. The device's print speed, while up to par for home use, seems sluggish by today's business standards. At only 21 pages per minute, the Canon Copier ImageClass MF4150 prints at a good one third slower rate than most of the MFCs available in this printer's product category that are available today. 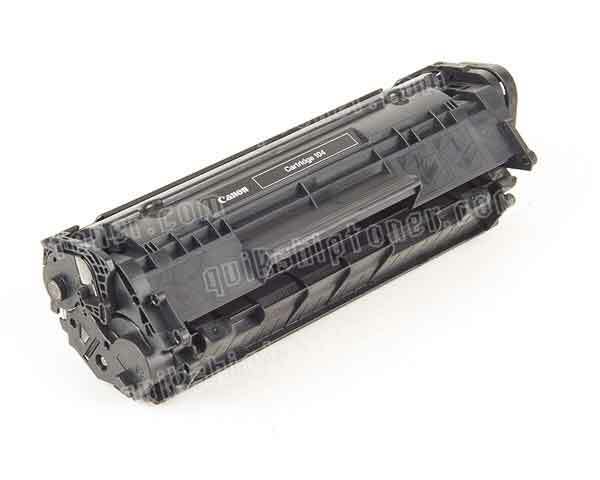 Review it: "Canon imageCLASS MF4150 "
Canon utilizes a unique single cartridge system on many of their printers and laser MFCs that combines the toner cartridge and drum unit into one. This makes for exceptionally easy toner swaps that are great for novice users. Unfortunately, it can also result in very low page yields and expensive cartridge costs. 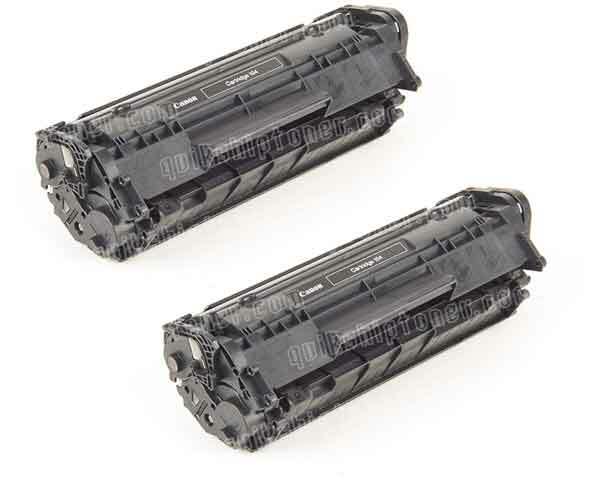 In this case, the printer's cartridge is capable of only a 2,000 page yield at 5% coverage, yet costs about the same as high yield cartridges for other devices.